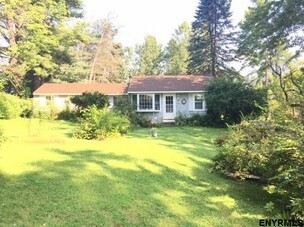 Cozy, 2 bed, Guilderland ranch. Private setting with large rear deck and workshop. Shared driveway.